white-rhino.co.uk at WI. Awesome Event Management - Would You Expect Anything Less? Corporate event management agency in Surrey near London. 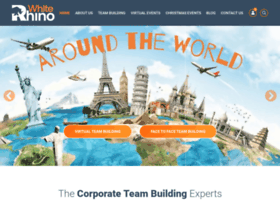 Conferences, meetings, away days, team building activities, hospitality, incentives and more.